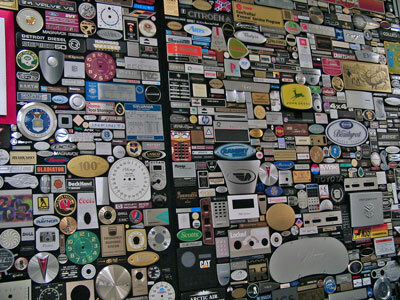 This posts offers summaries and links to some of the most popular posts discussing nameplates and labels which held our readers' interest over the past year. Areas of interest include nameplate and label design, tooling options and ways to enhance or elevate a brand through decoration. Take a walk through and let us know where we can help as you develop your brand strategy for this next year. Review of common shapes used for traditional and not so traditional brand identification. A popular trend in nameplate design is to create tone on tone looks with contrasts between background decoration and text or logos. Keep these basic design elements in mind when you are working on your brand identification. 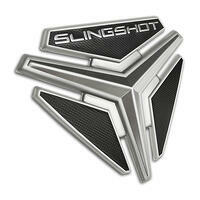 Getting the desired dimensional look for your nameplate doesn't have to be cost prohibitive. Using standard printing processes to include shadows or fades of color with halftones is a great way to keep cost in check. When designing a badge or emblem which will be exposed to exterior and harsh environments, there are things which should be taken into consideration to create a part that looks as good after several years as the day the vehicle was purchased. 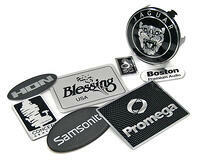 Review of basic tool operations needed to produce metal nameplates from blank to emboss and form dies. 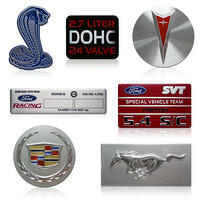 Three options to get a chamfered or beveled edge on aluminum badges for product identification. Custom tooling may be required. Printing options to achieve the look also exist. 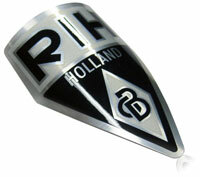 Examples of aluminum badges and plastic decals which take on the contoured shape of the end product. Mating surface substrate and the application environment are considerations in choosing the correct adhesive for your nameplate or badge. Nameplates, labels, badges and medallions are terms commonly used to describe the thing that showcases a product logo and speaks to brand awareness.